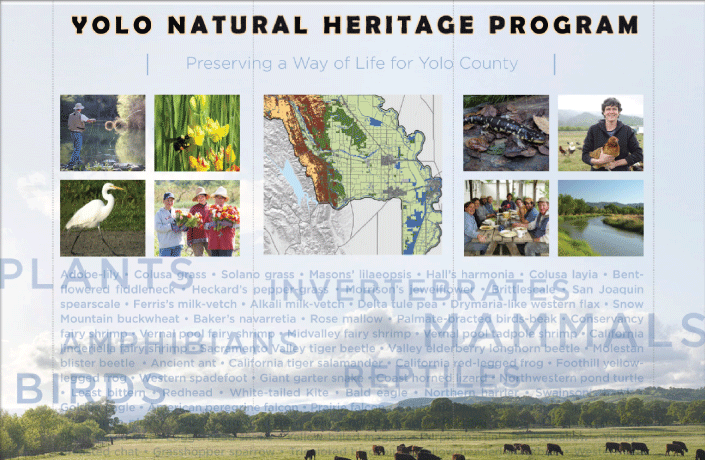 The Yolo Natural Heritage Program is a Natural Communities Conservation Plan for one of California’s richest agricultural counties. 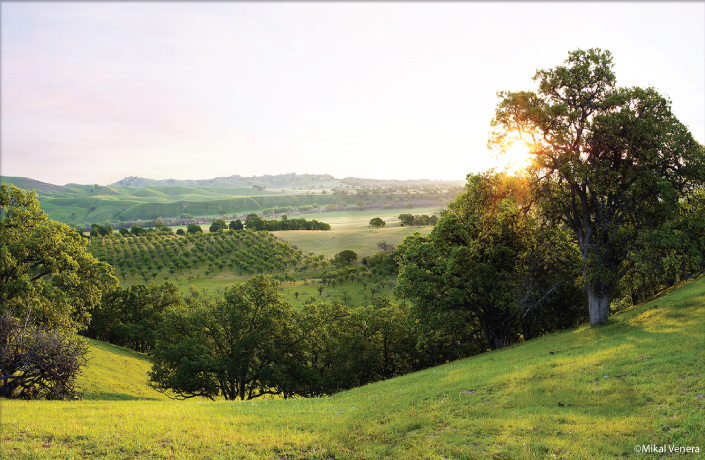 Spanning the foothills of the Coast Range to the Sacramento River Delta, Yolo is home to productive farmlands, diverse habitats, and four incorporated cities. 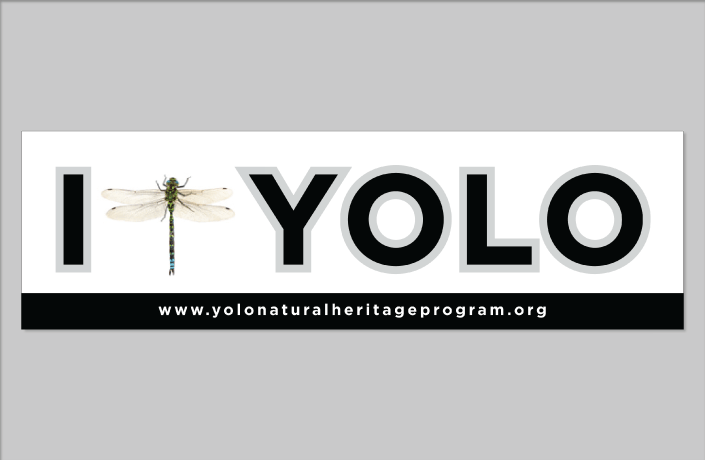 Spurred by the Endangered Species act, Yolo is one of a growing number of counties that are trying to rationalize the regulation process in ways that provide better outcomes for both human settlements and native species. 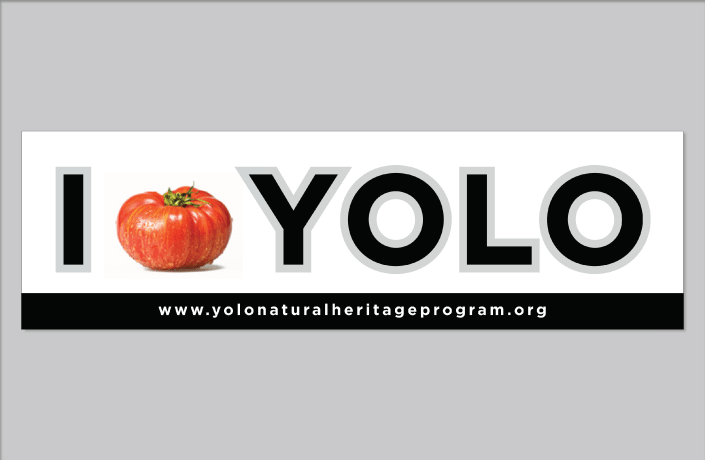 The Yolo Natural Heritage plan is the first of its kind to recognize the habitat value of working farmlands. 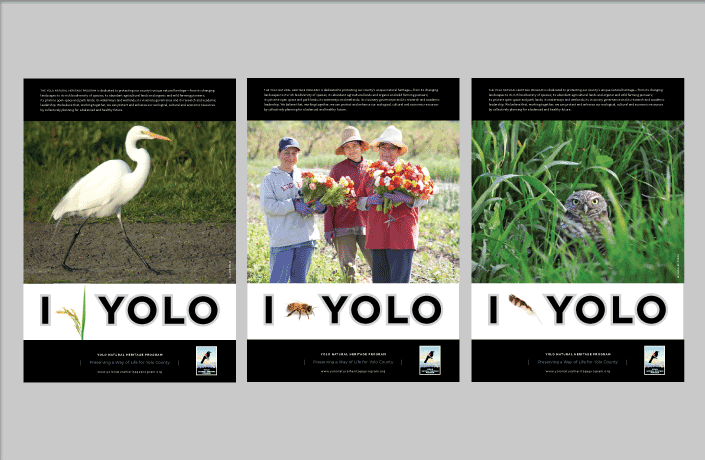 L Studio worked with the Yolo County Joint Powers Agency to create a communications program that would enhance a sense of place and county pride, educate the public and garner support for the plan. 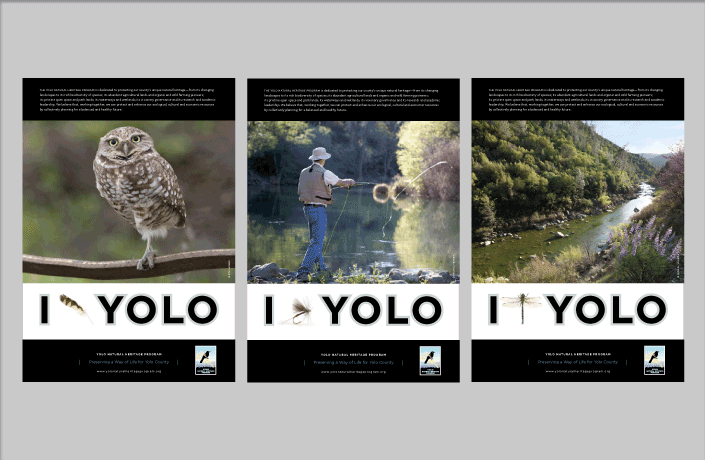 Design of a poster series featuring local people, species and landscapes. 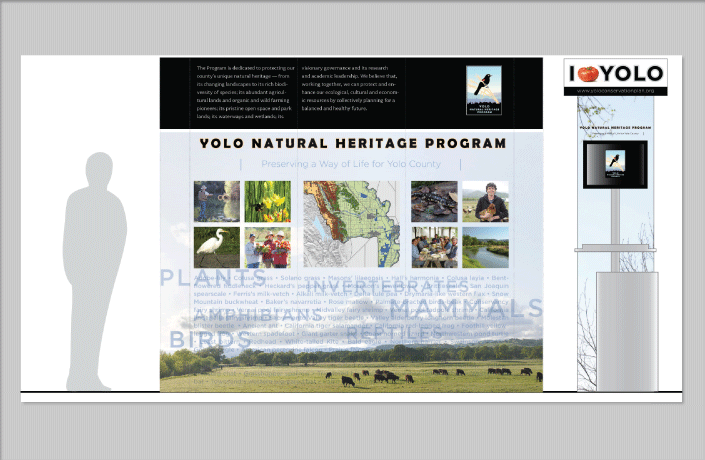 Design of an information booth and electronic public survey for the Yolo County Fair. 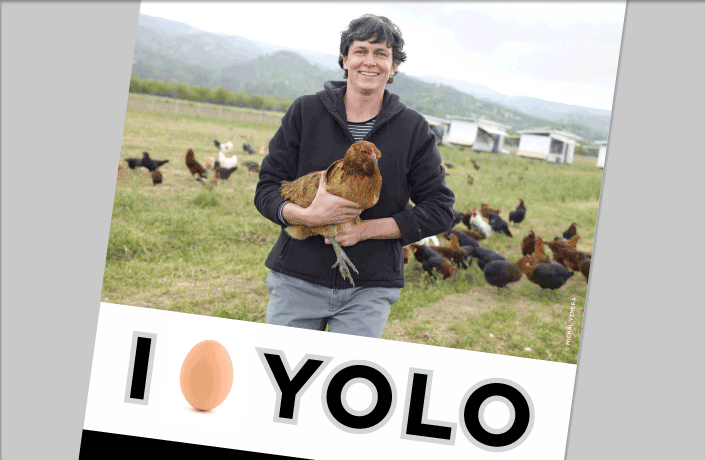 Design of a series of bumper stickers that replace the heart shape in “I [love] Yolo” with species and objects endemic to the county.